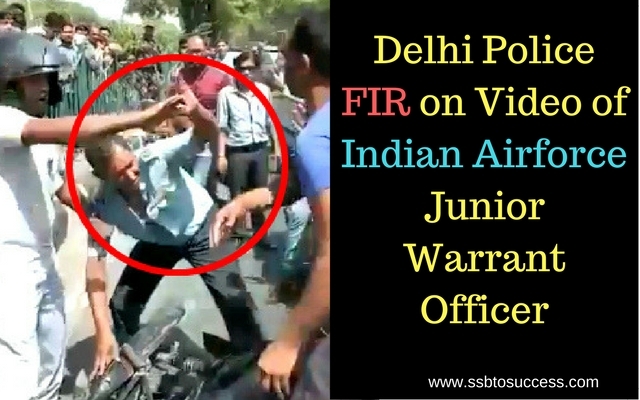 As most of our readers are aware of the recent incident where a video of beating the IAF Junior Warrant Officer by the public in Delhi, gone viral. This is rally a shame to all our countrymen who; especially those who were standing there during the incident without taking any appropriate action. According to the latest information, a FIR has been lodged by Delhi police against the culprits and three of them have been nabbed by them. The FIR number U/S 392/279/323/34 IPC has been registered against the accused.The complaint is filed by the IAF corporal, Sujay KrSikander. According to the FIR, on 20th April, while driving, there was a minor touching between the bike of IAF JWO and a Swift car. The car later overtook him on MR road. Two people came out of the car and started beating the defense person. The two was later accompanied by one more guy from a Santro car. The three robbed the essentials of the JWO that includes I Card, R/C of the motorcycle. Isa: Store Keeper at Levas Hotel Mehrauli. Neeraj: Bouncer at RPM cult Vasant vihar. According to the current status by Delhi Police, all the documents robbed have been recovered and the car has also been seized by the police. These types of activities is really a shame for Indians. We, being an Indian should always respect those who laid their lives to save our motherland.